As the children of Hong Kong have been making their way back to school in the last two weeks, it has become increasingly common to see small children in their brand new uniforms throwing tantrums and having meltdowns as they are dragged into school each morning. Not that they can be blamed – kids here start school young. When I was three years old I doubt I would have had much enthusiasm for a competitive interviewing process, school five days a week, and additional English (and probably piano, swimming and maths) classes with people who looked completely different and said things I couldn’t understand. I don’t remember much about my first year at school, besides how lovely and kind and patient my teacher, Mrs Thompson, was (and how glad I was not to be in the other reception class taught by Mrs Wood, who looked like a scarecrow). As an April baby, I only had to attend half-day school for the first few months until I was old enough to last the full day (Hong Kong parents take note – although this apparently gives September babies a lasting academic advantage), and my mum tells me I used to come home so exhausted I’d spend the afternoon napping. While it saddens me that I can no longer operate on those kinds of hours, I am at least grateful that I got a stress-free start to my academic life. While Autumn is always about those back-to-school emotions for both students and teachers, on the food front it’s about big, hearty food, and here is one such dish. 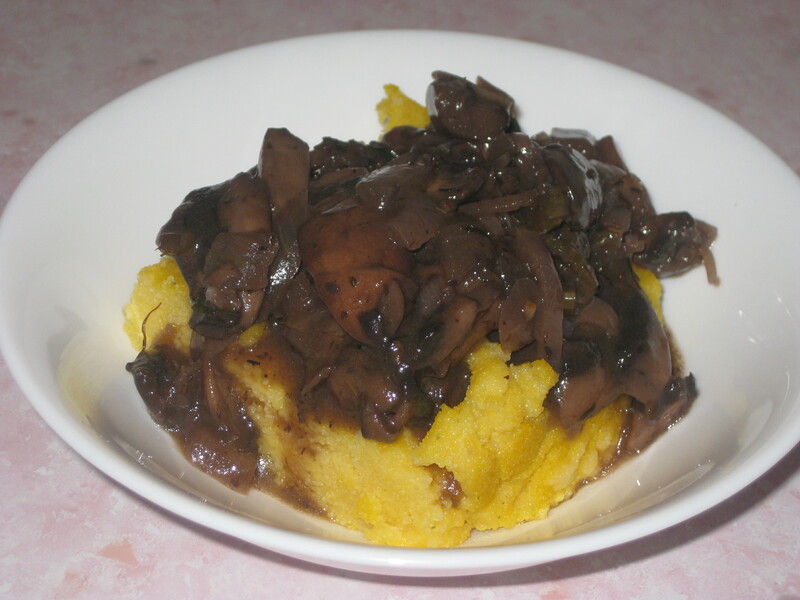 The sauce is really rich and flavoursome, the mushrooms are earthy and meaty and the polenta is supremely satisfying. Delicious! 1. Preheat the oven to 190C. Bring 1.8 litres water to simmering point. 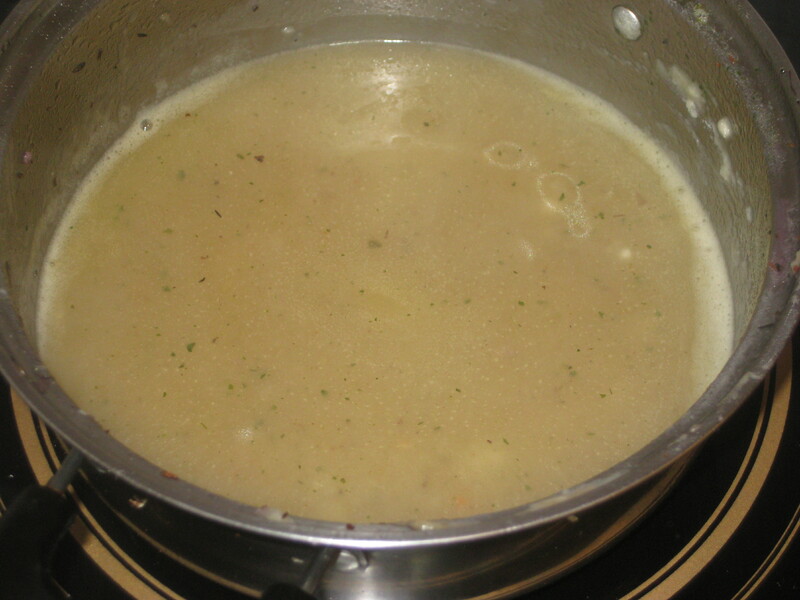 Remove from the heat, crumble in the stock cube. 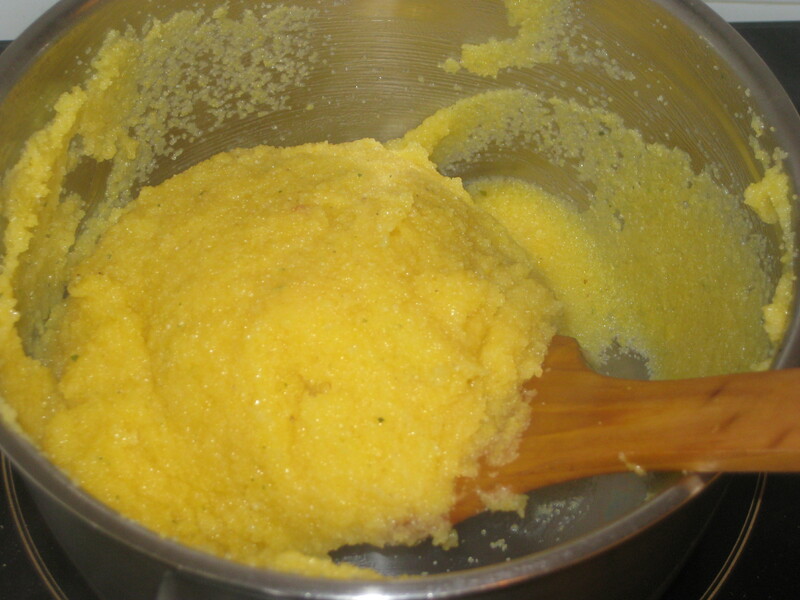 Add the polenta, stirring rapidly with a wooden spoon. Return to the heat and boil for 5 minutes, still stirring. 2. Transfer to a buttered ovenproof dish. Cover with buttered foil and cook for 1 hour. 3. 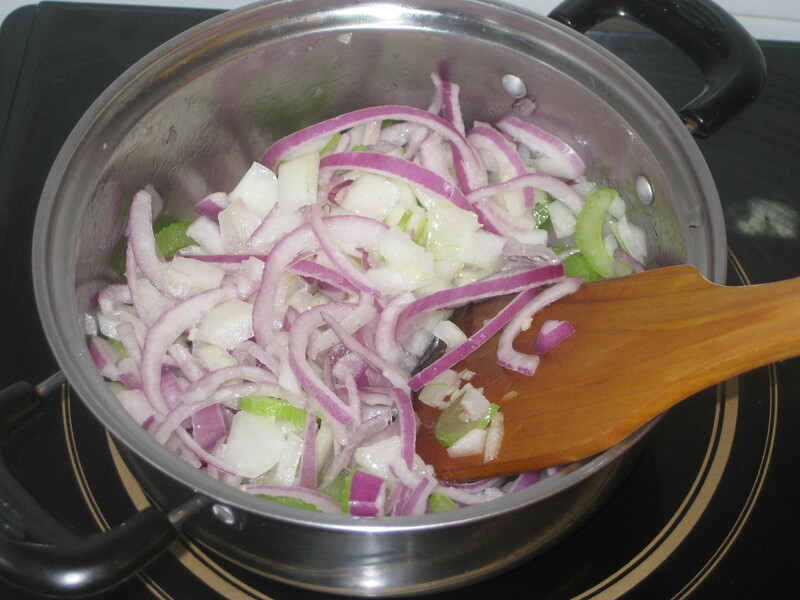 Meanwhile, heat 1 tablespoon of the oil in a pan and saute the onions, celery and garlic, stirring regularly, until soft. 4. Add half the wine, half the marsala, the bay leaf and thyme. Turn down the heat and simmer until the wine cooks away. Remove from the heat and set aside. 5. 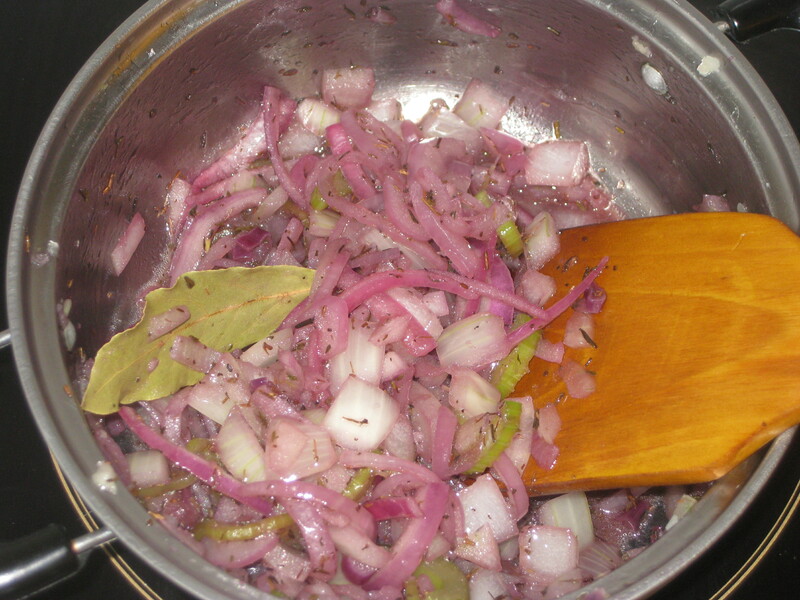 Meanwhile, in a separate pan, heat the remaining tablespoon of oil. 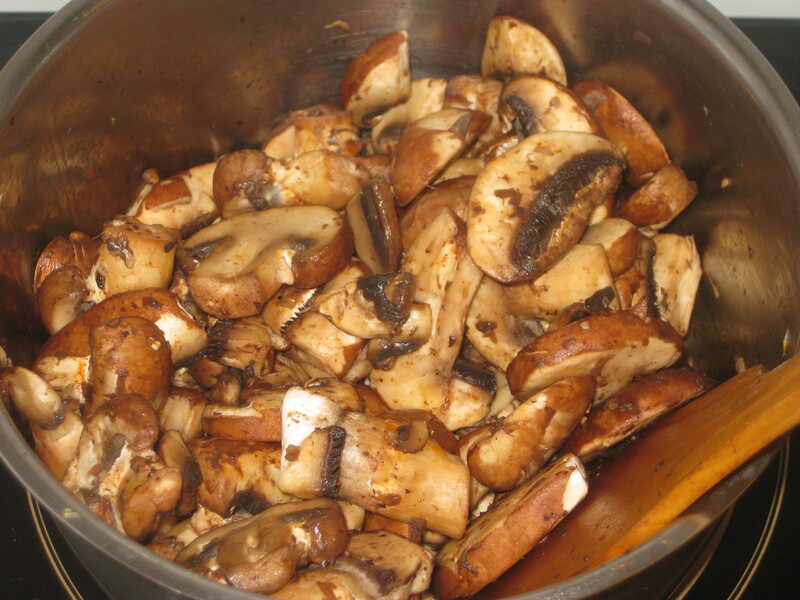 Saute the mushrooms with a sprinkle of salt and pinch of cayenne until the excess liquid cooks away and they begin to colour. 6. 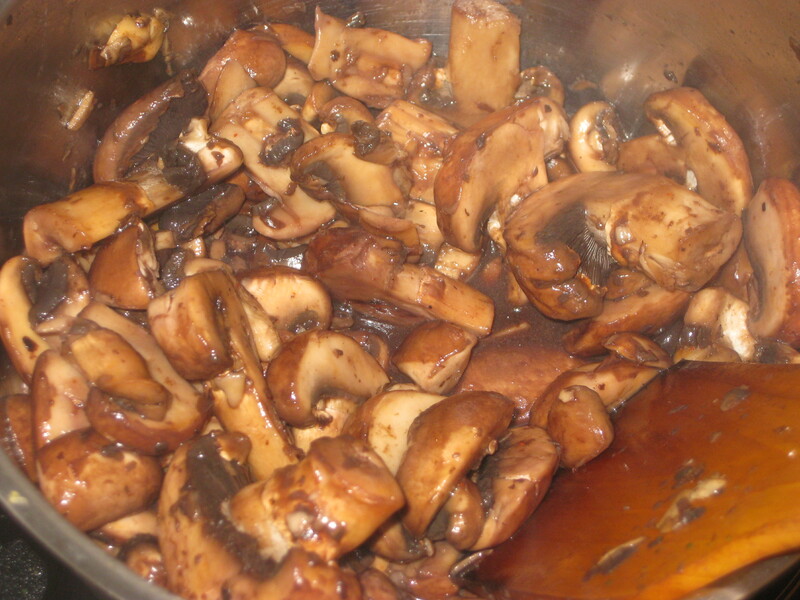 Add the remaining wine and marsala to the mushrooms, lower the heat and allow the wine to simmer down. 7. 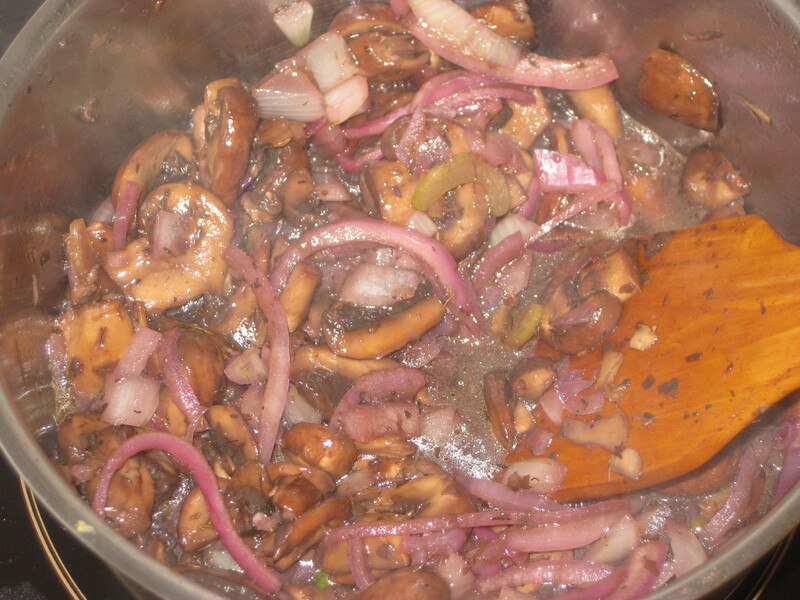 Add the onion mixture to the pan with the mushrooms, discarding the bay leaf first. 8. Put the butter into the now-empty onion pan and let it melt. Stir in the flour and stir over a medium heat for a few minutes until it turns golden. 9. 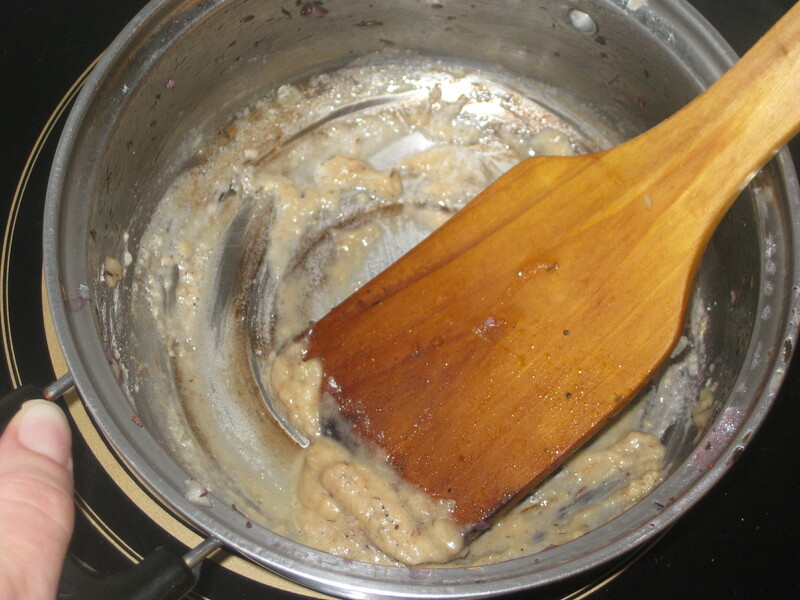 Whisk in the hot stock and continue whisking as it thickens. 10. 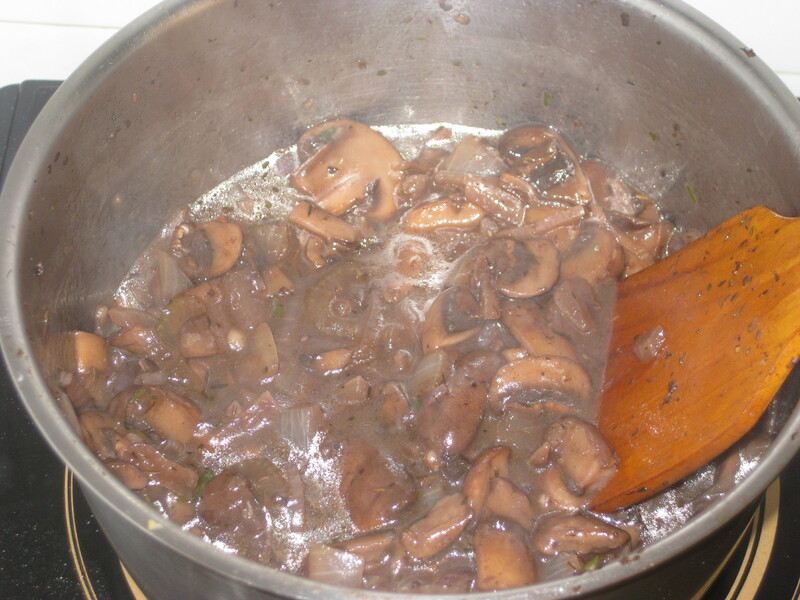 Add this sauce and the parsley to the mushrooms. Simmer everything gently for about 10 minutes. 11. 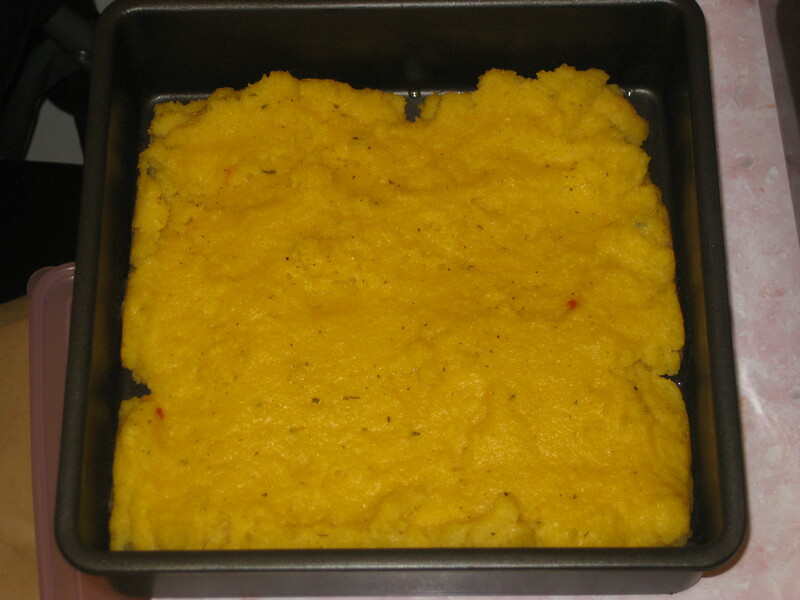 Serve with the polenta. 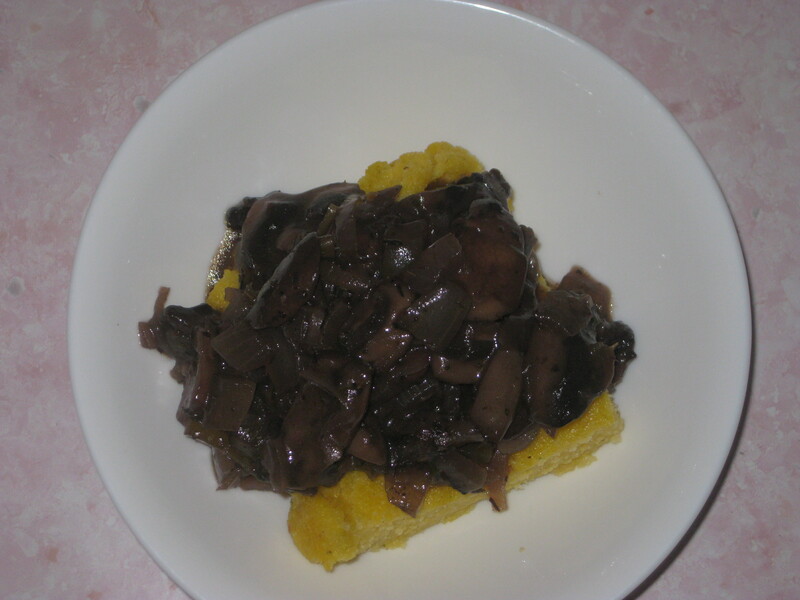 This entry was posted in Vegan Recipes and tagged autumnal food, baked polenta, mushroom ragout, Nigella Lawson, polenta with mushrooms, vegetarian ragout. Bookmark the permalink. Look at that lovely plate of nom!